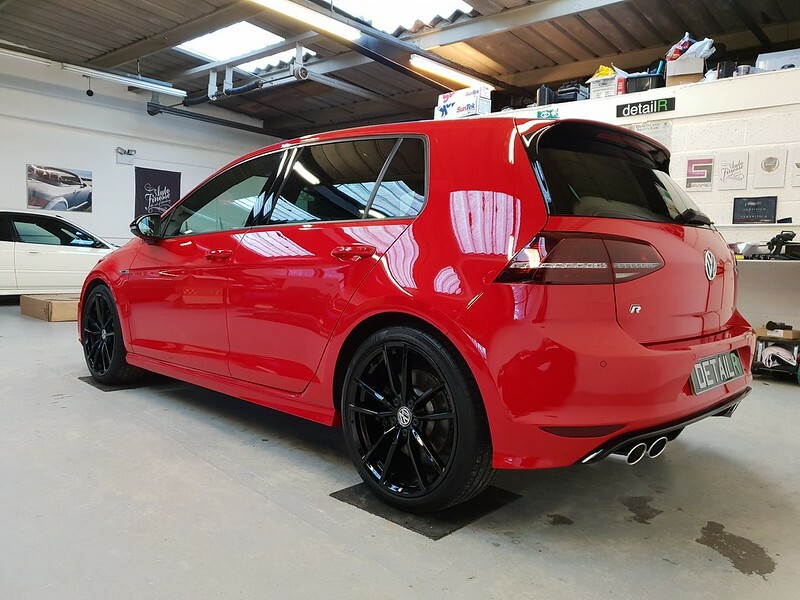 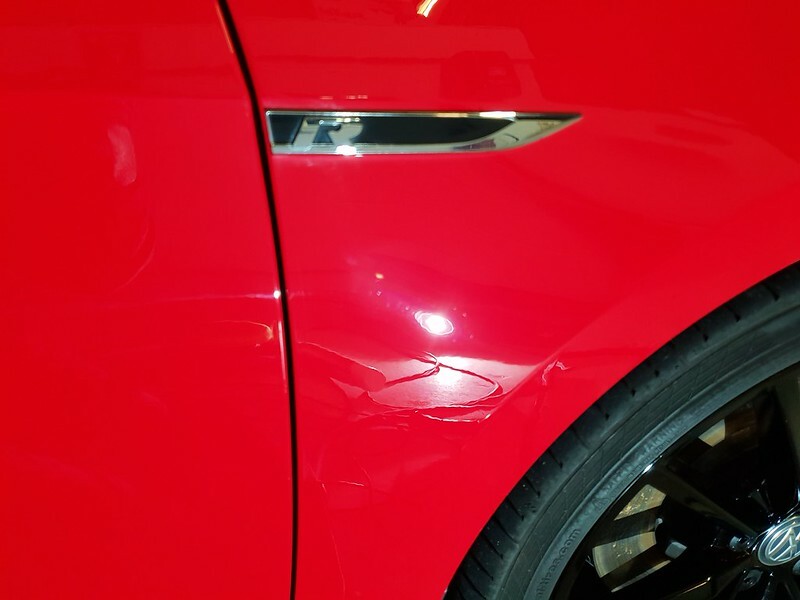 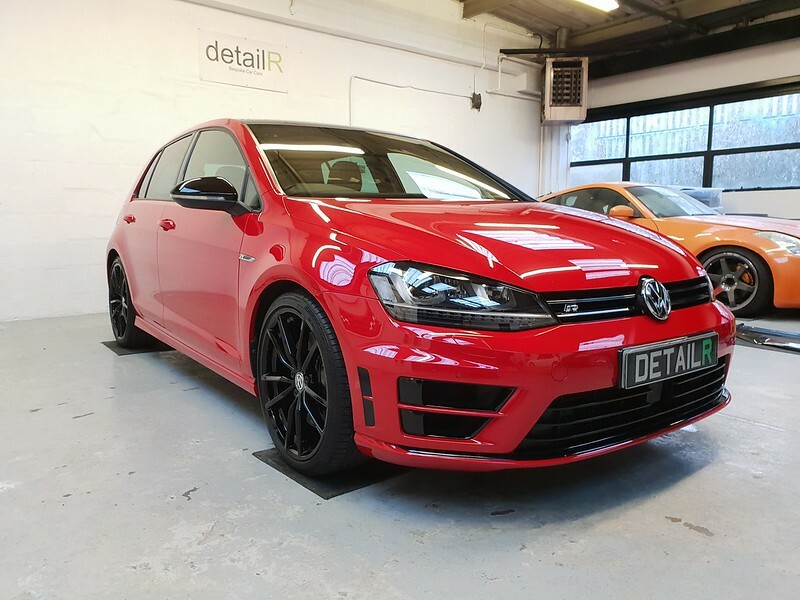 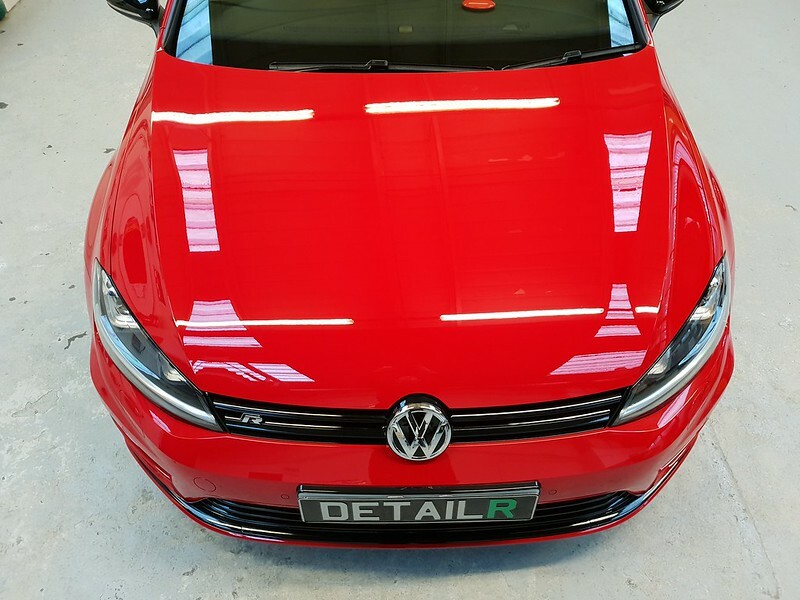 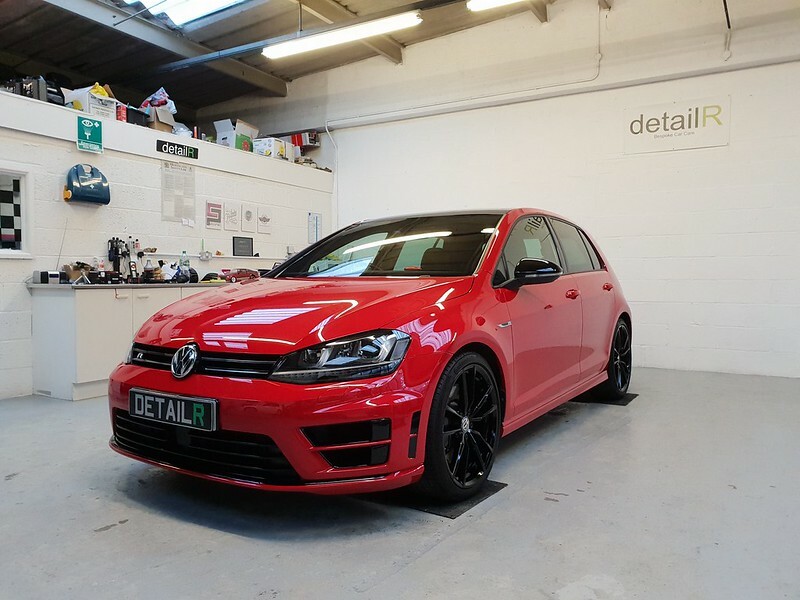 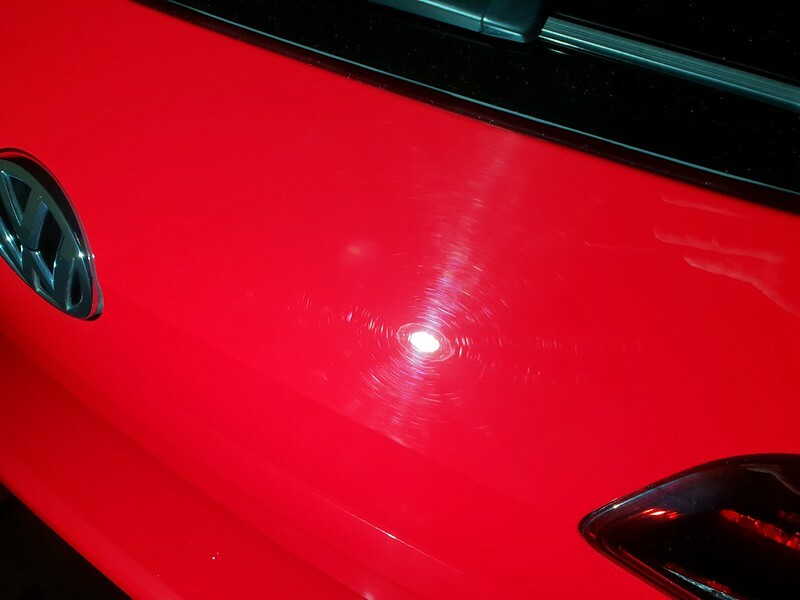 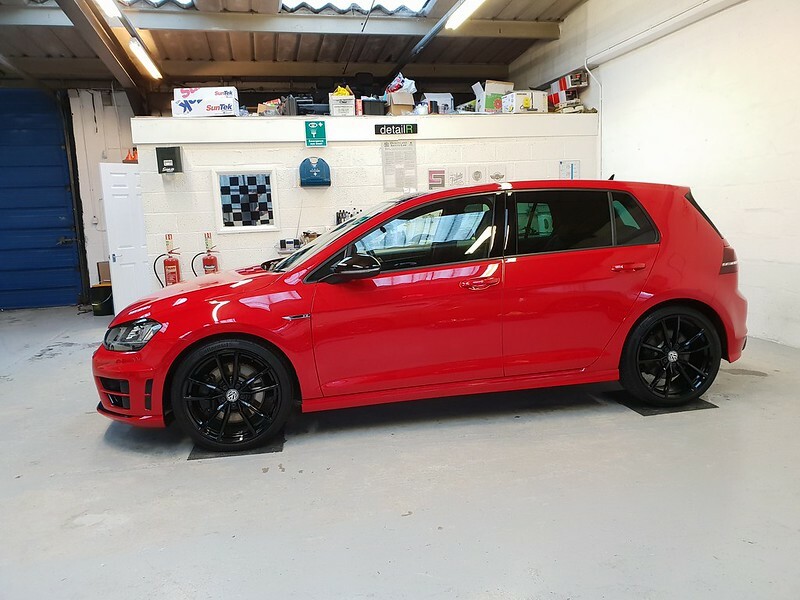 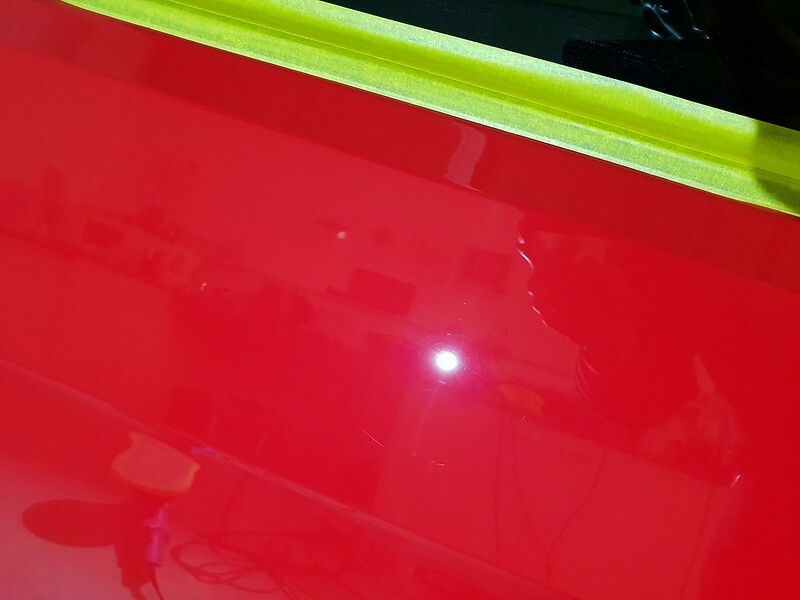 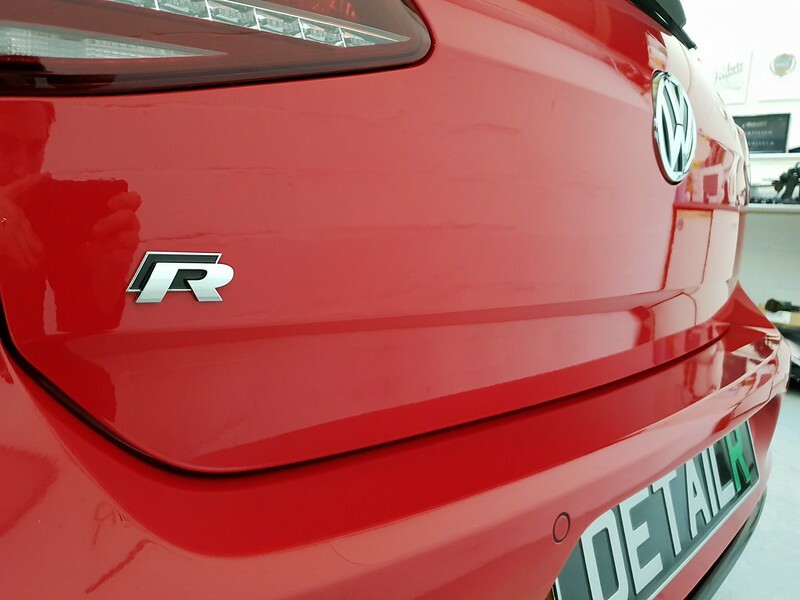 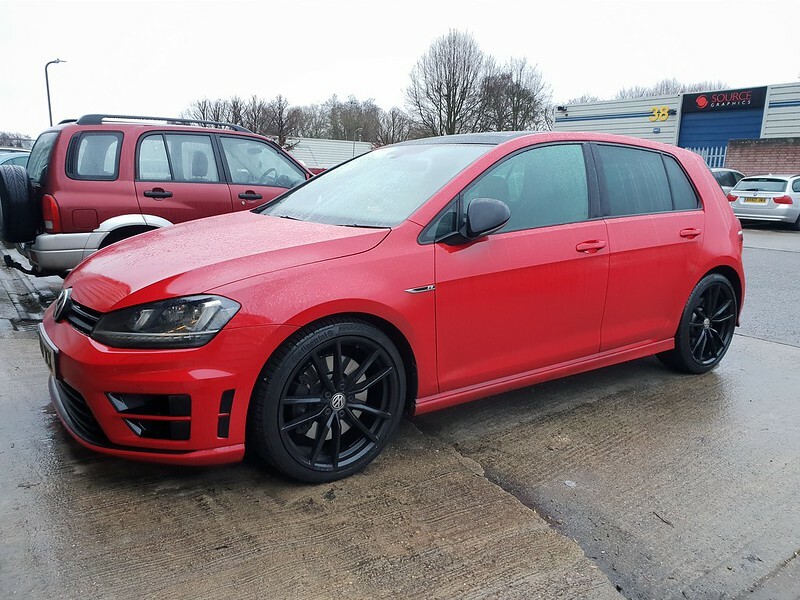 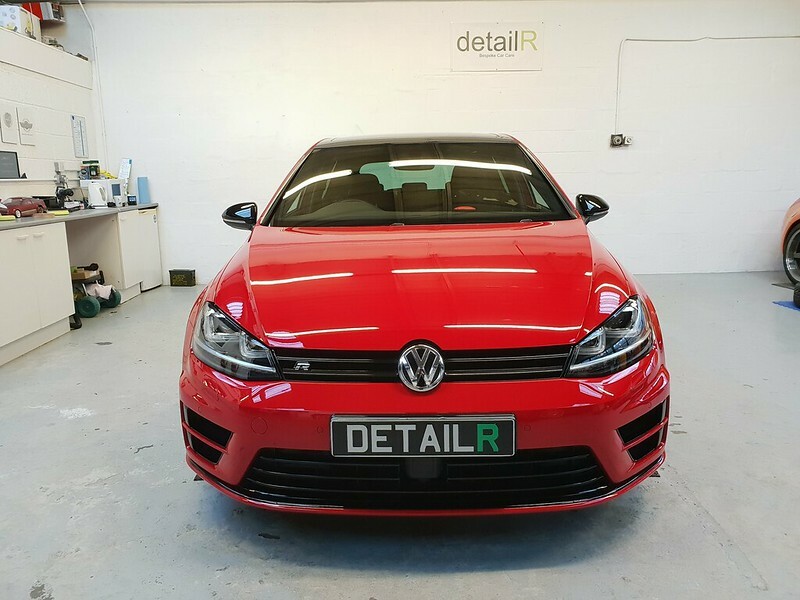 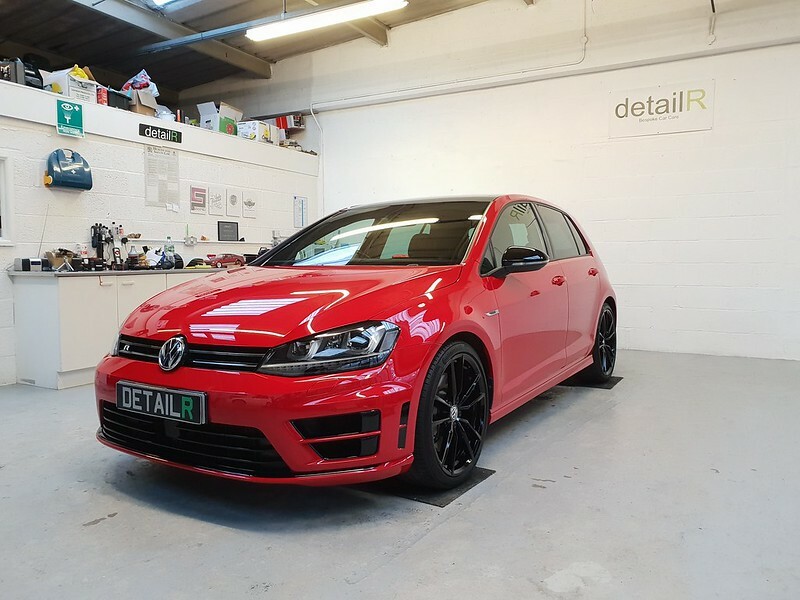 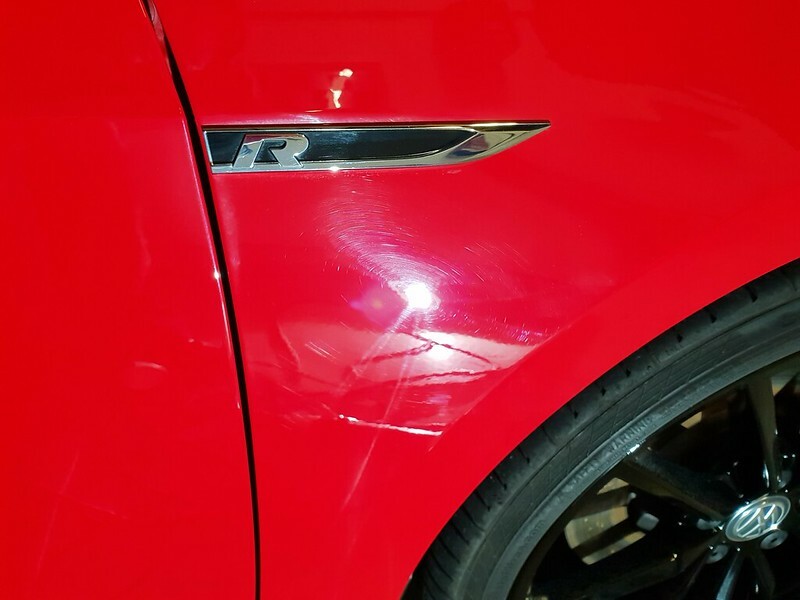 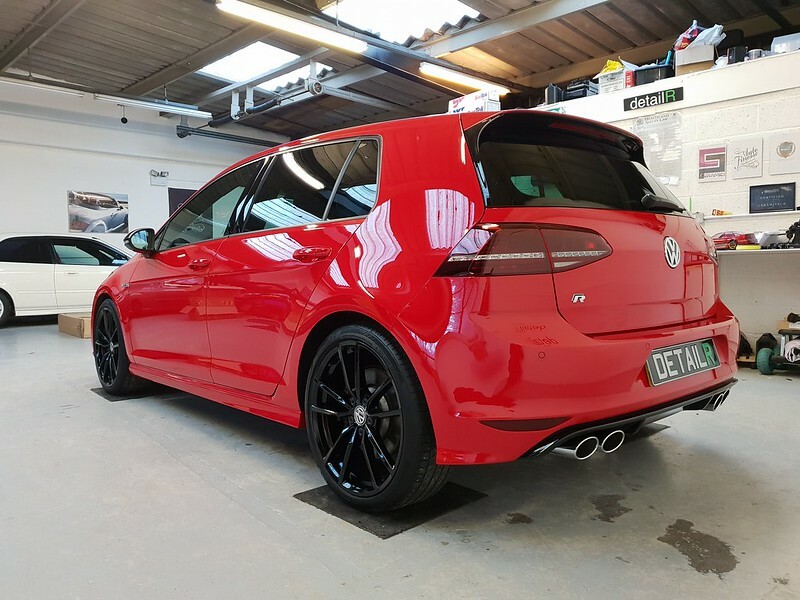 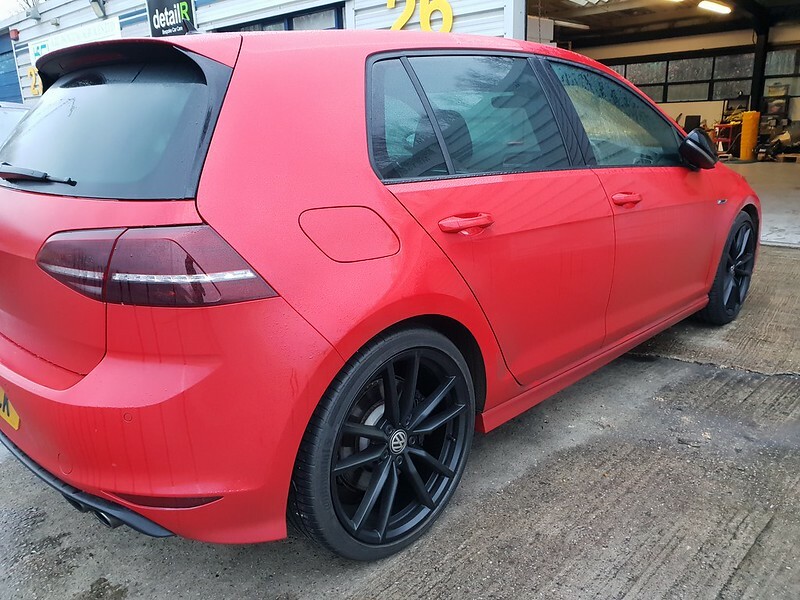 This lovely Tornado Red MK7 Golf R came in for some swirl removal and long term protection. 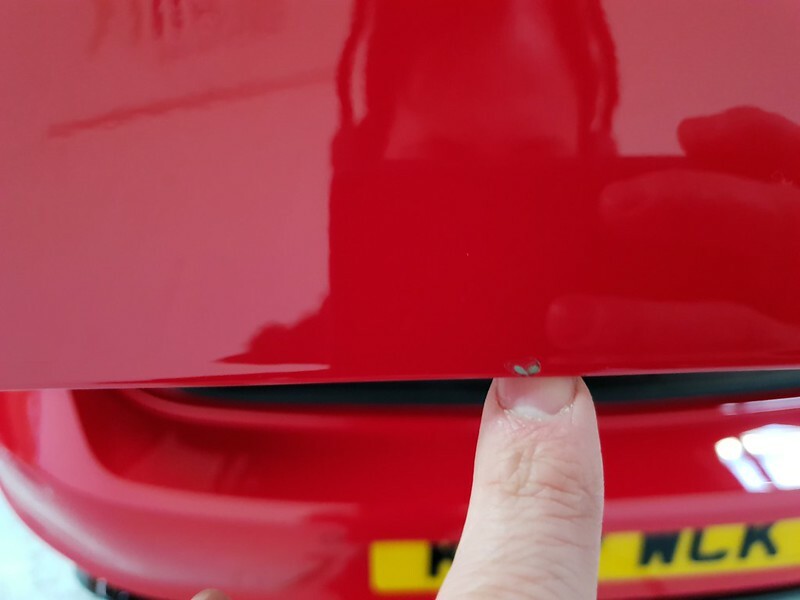 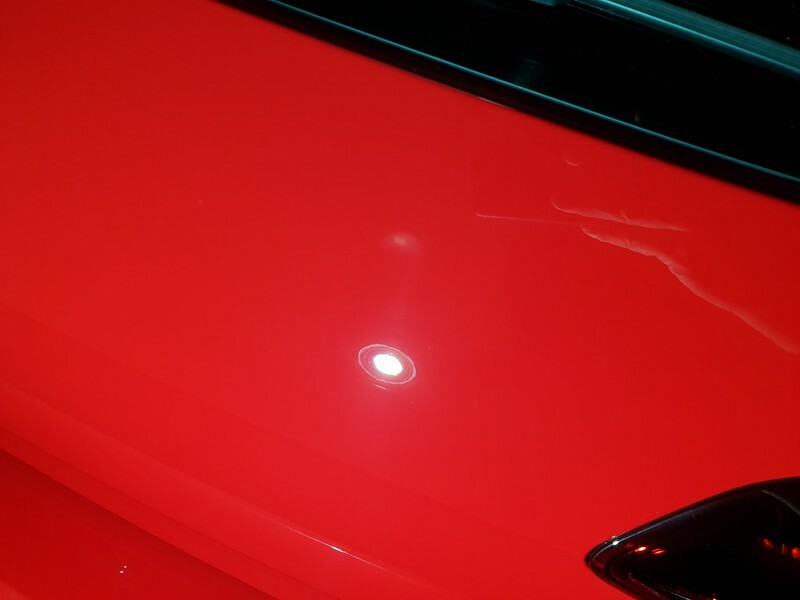 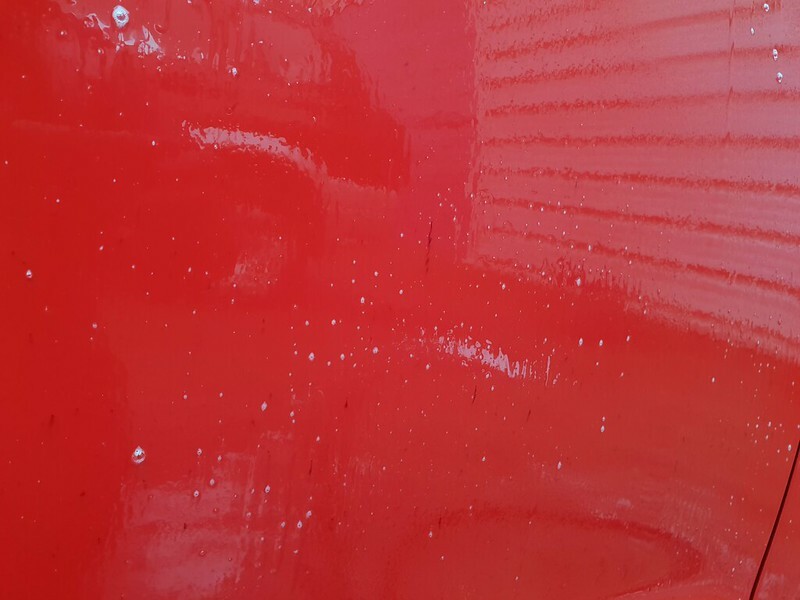 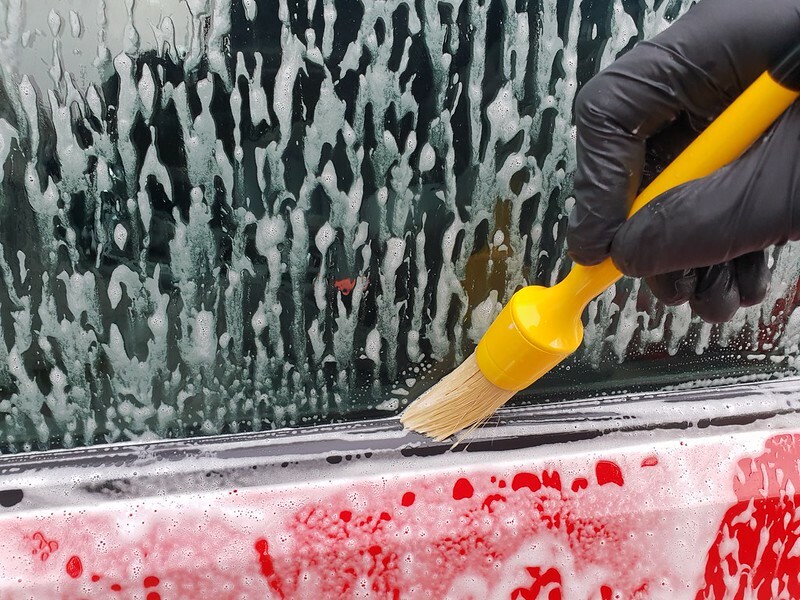 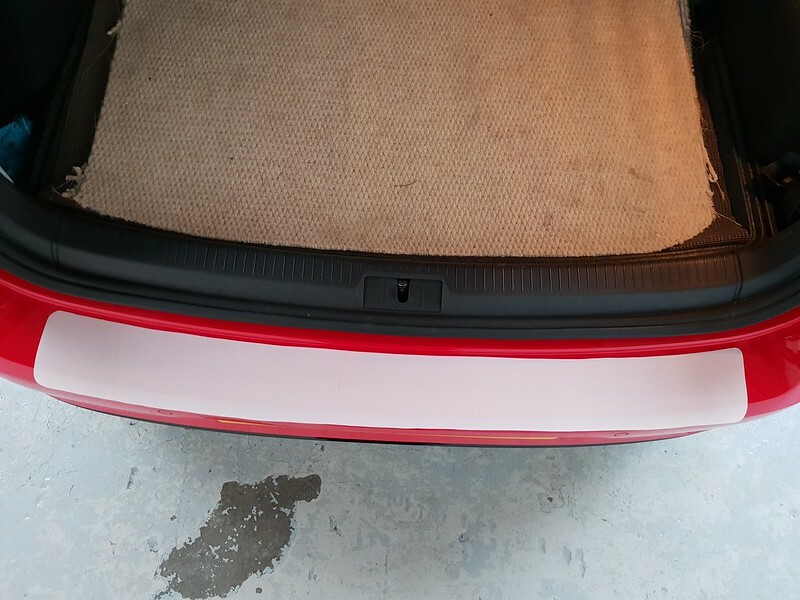 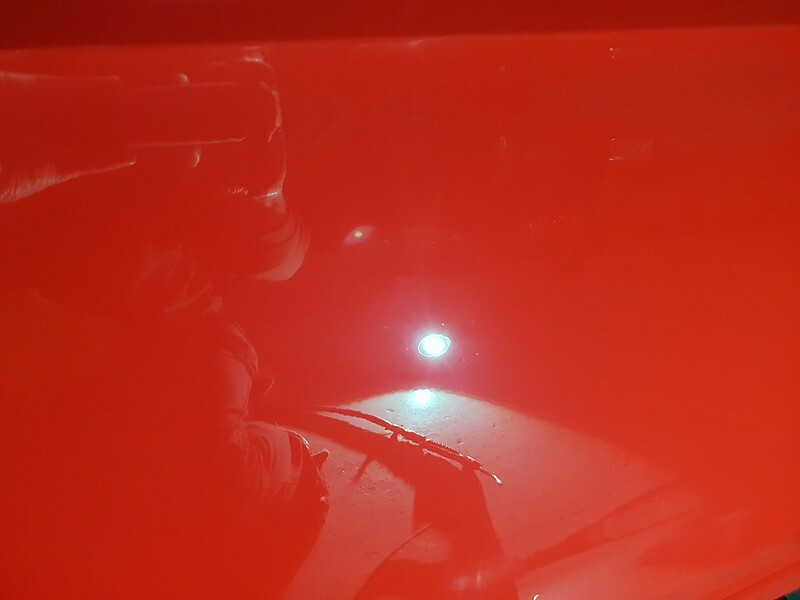 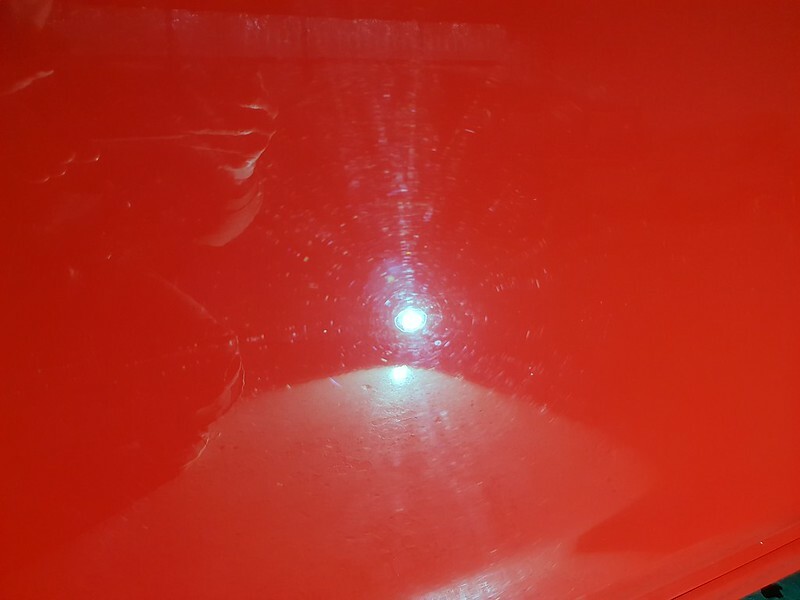 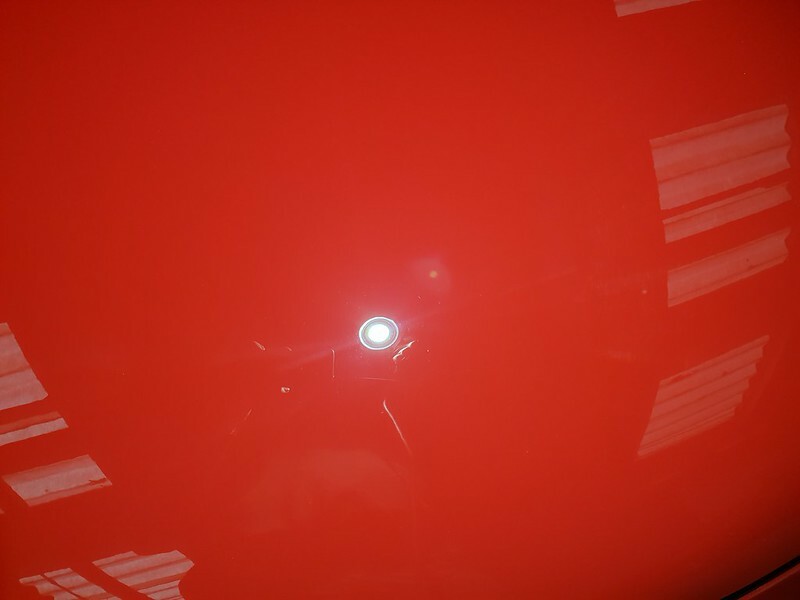 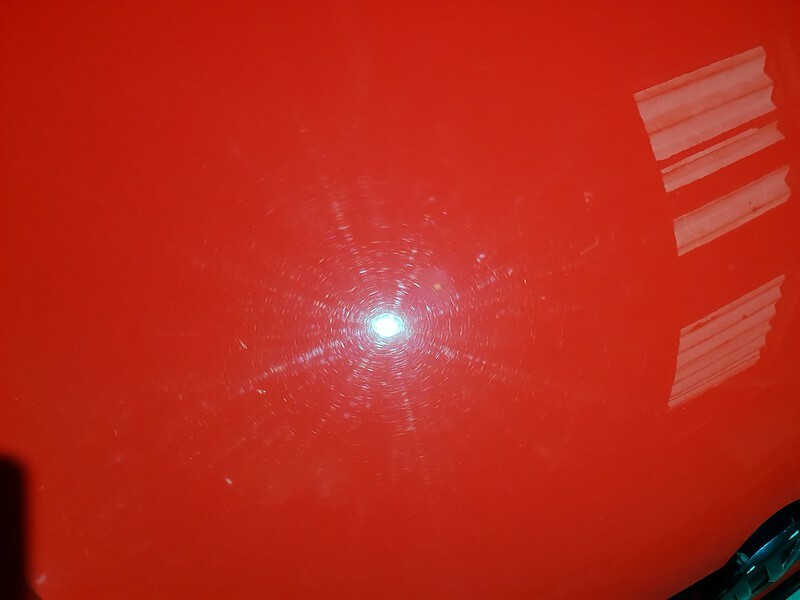 The car was a fairly recent purchase for the owner and although it looked tidy enough, the haze across the paint was robbing it of gloss and clarity. 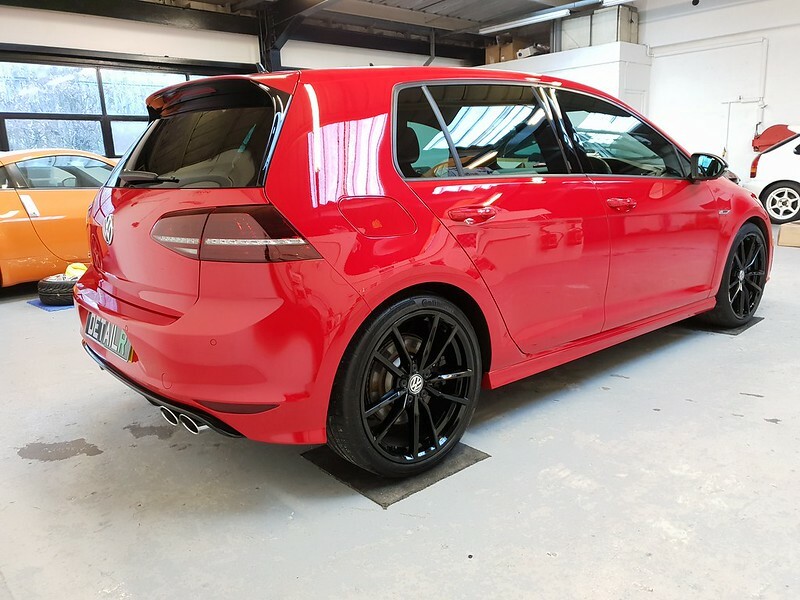 Wheels, tyres and arches cleaned. 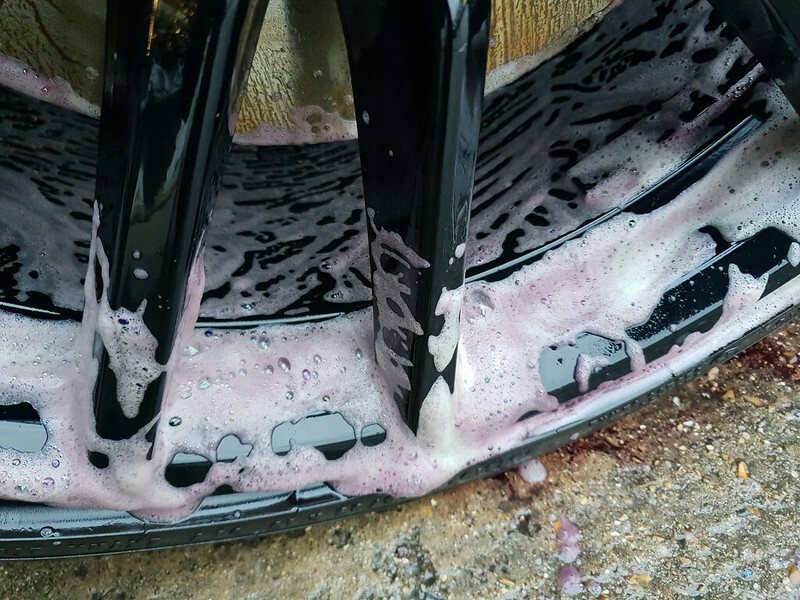 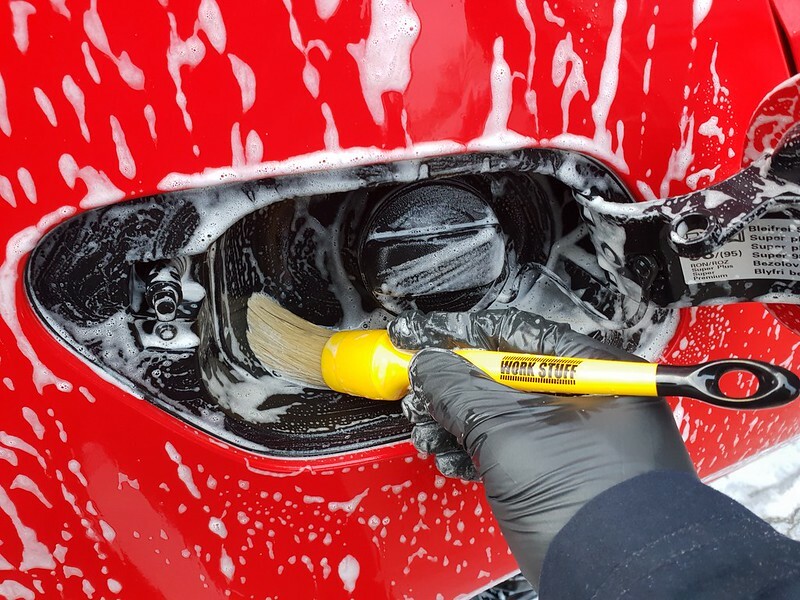 Full Auto Finesse safe wash. 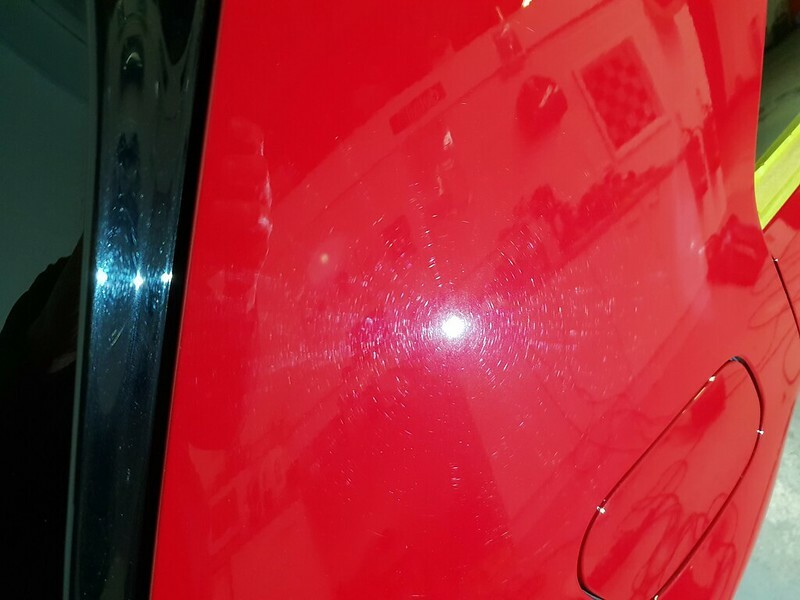 Decontamination - tar removal, iron fallout removal, clay bar and IPA wipe down. 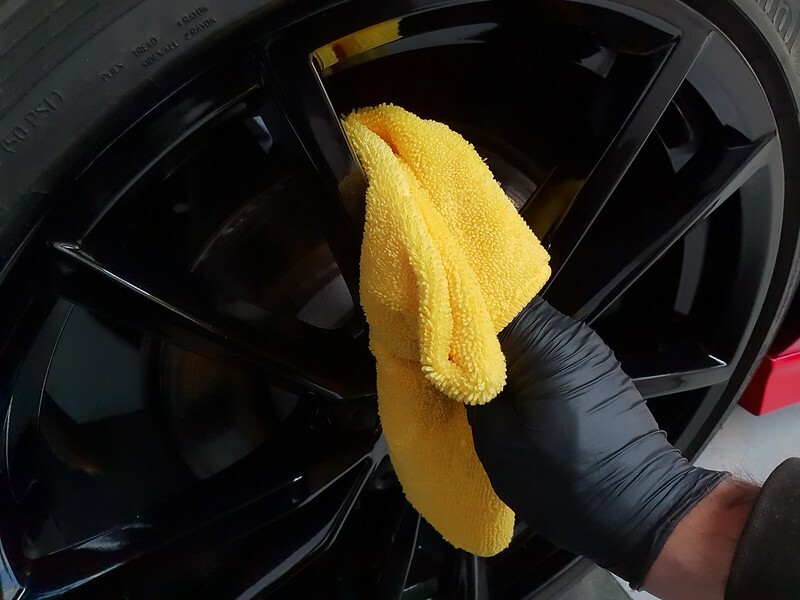 Major Enhancement - multi-stage machine polish. 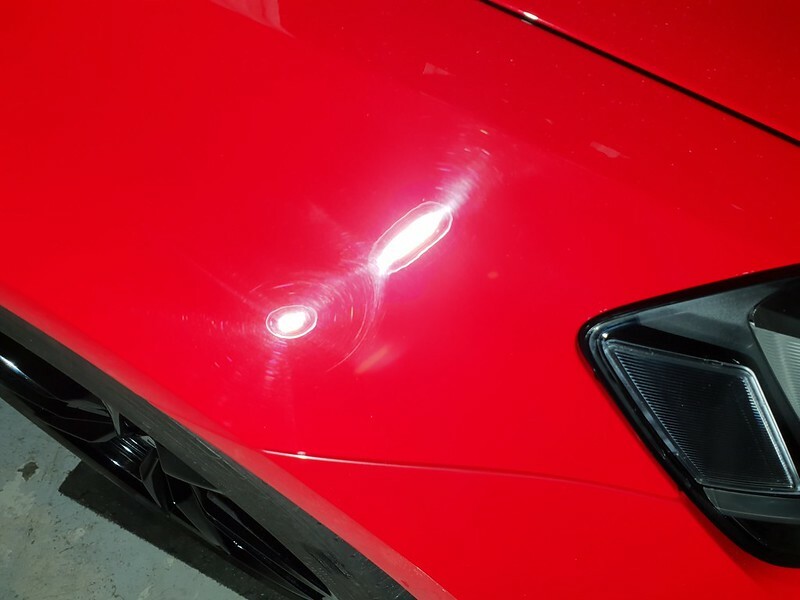 System X Pro ceramic coating applied to the paint work. 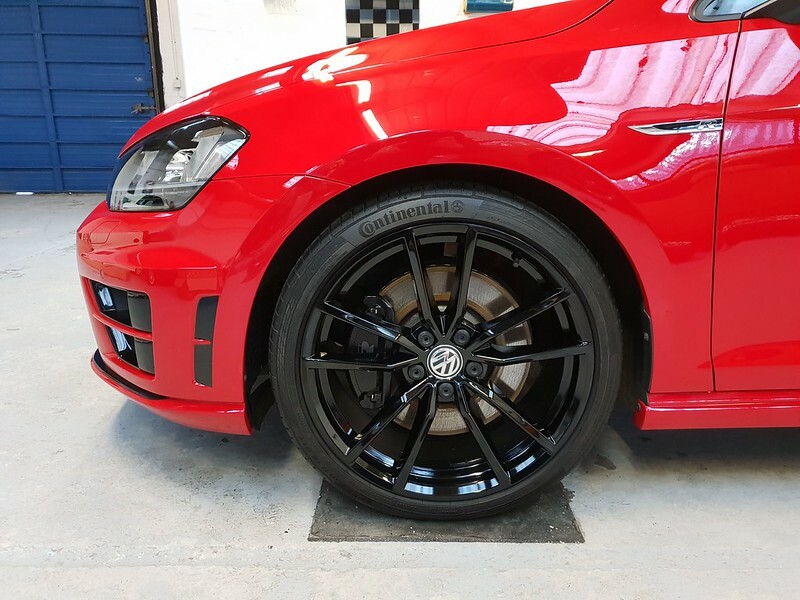 System X pro applied to the wheel faces. 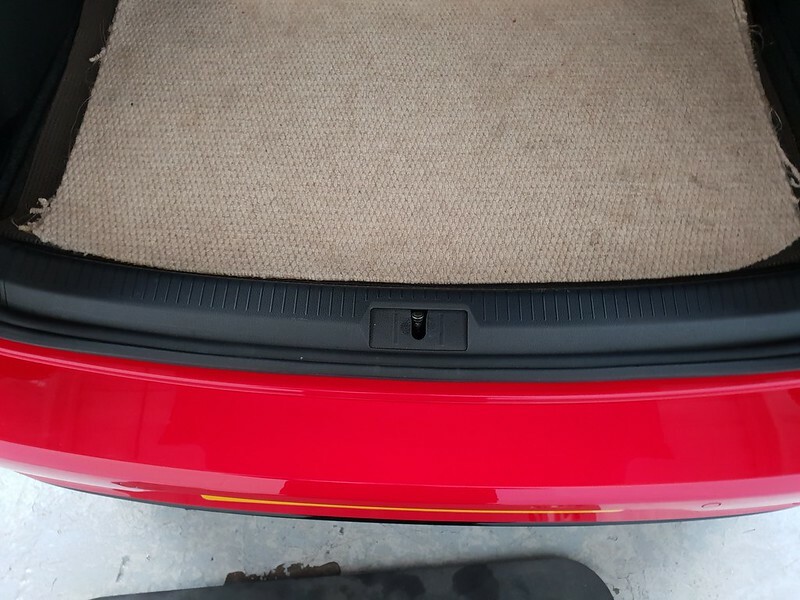 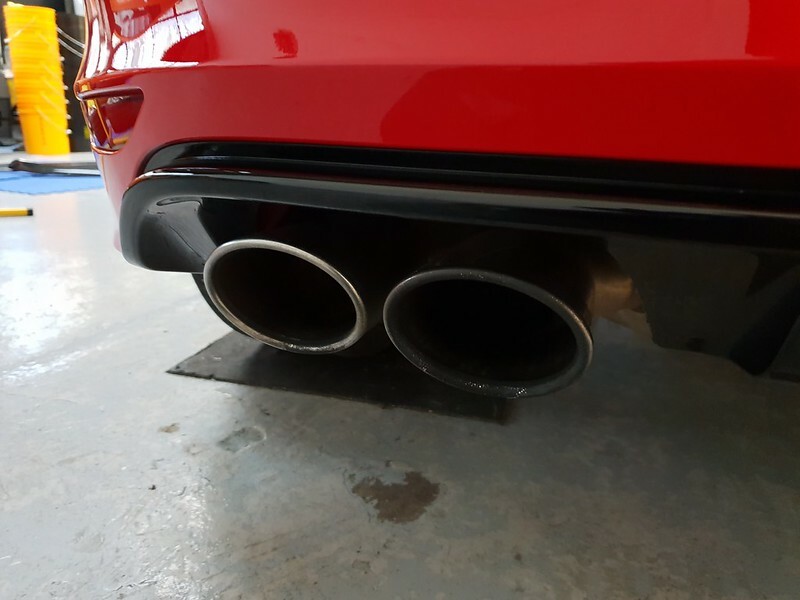 SunTek Ultra PPF applied to the rear bumper deck/loading area. 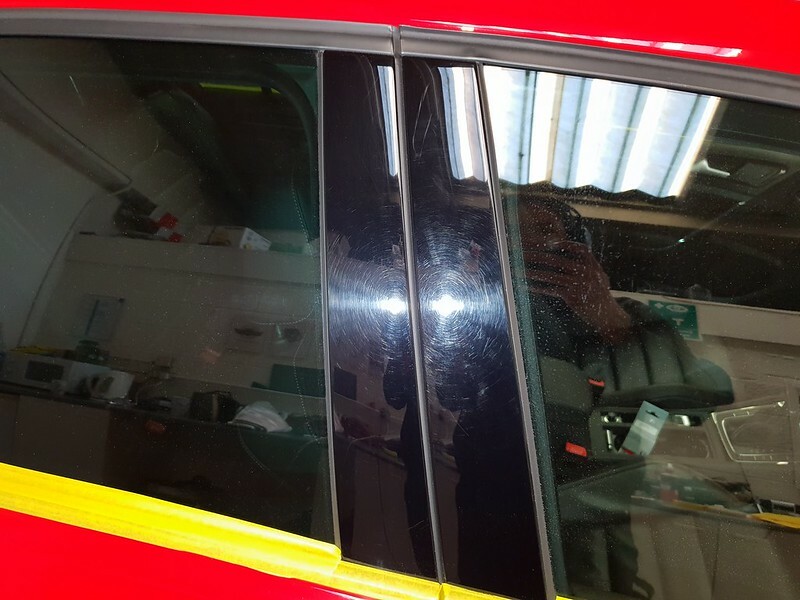 Exterior glass sealed with System X. 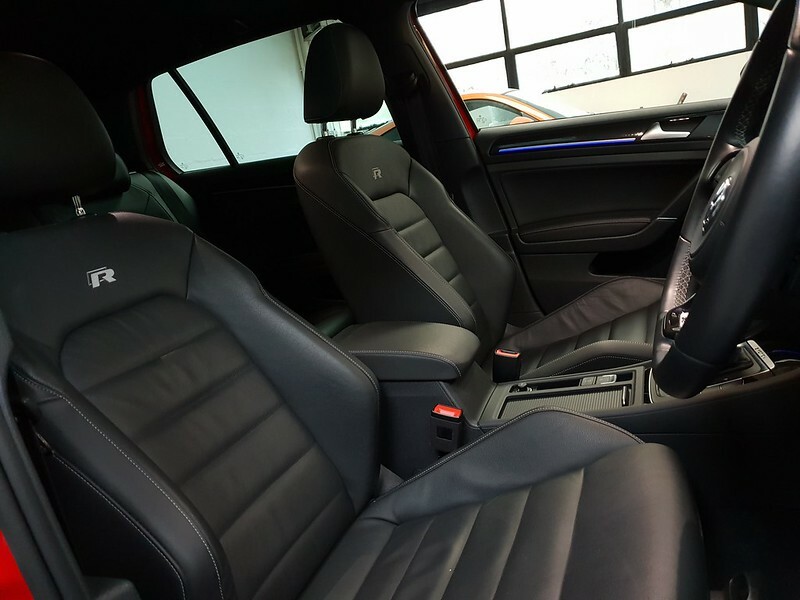 Interior cleaned and leather conditioned. 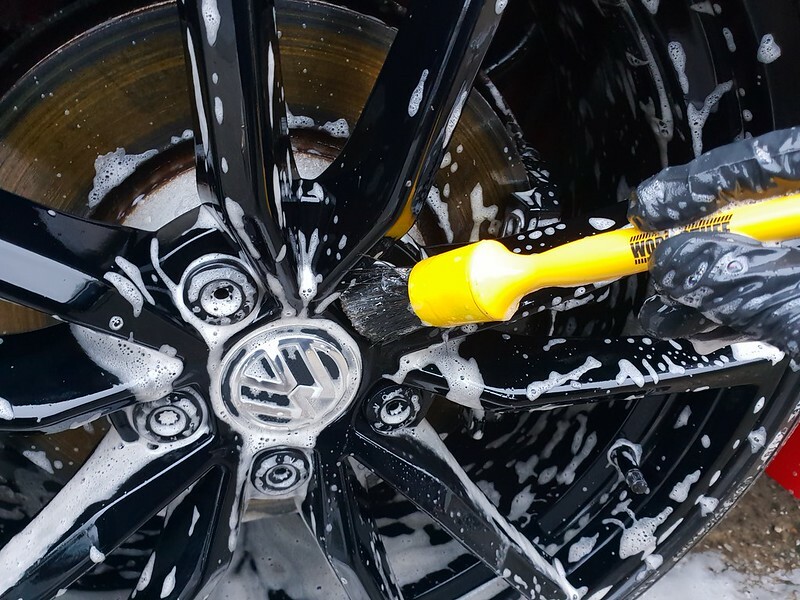 Wheels cleaned with Auto Finesse Imperial, followed with Iron Out. 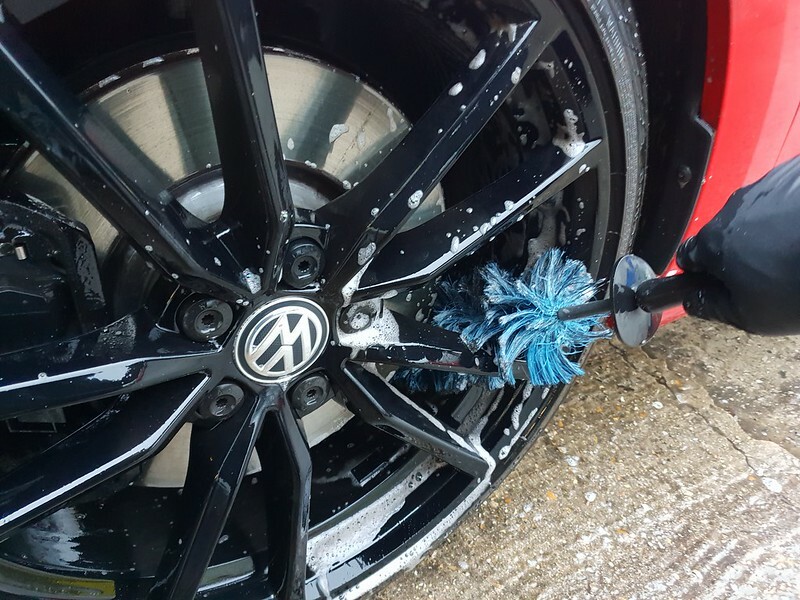 Avalanche used to soften the grime during the pre-wash stage. 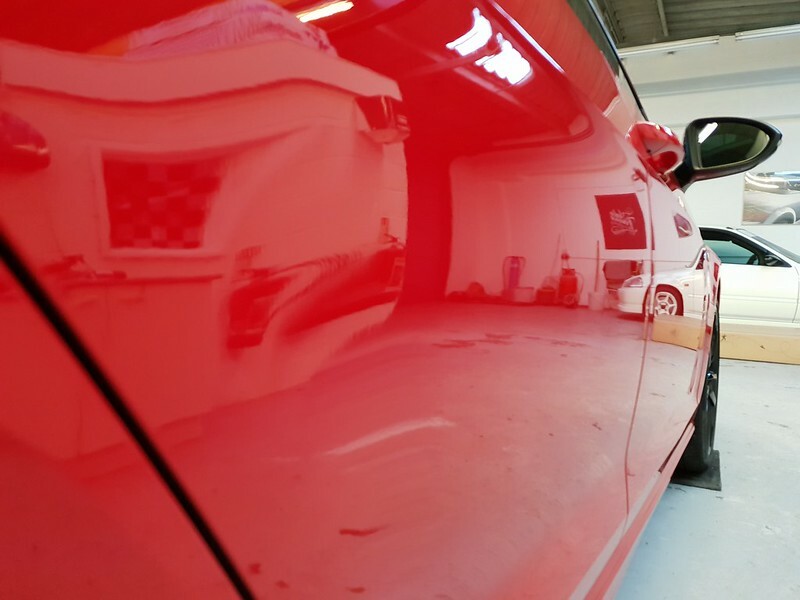 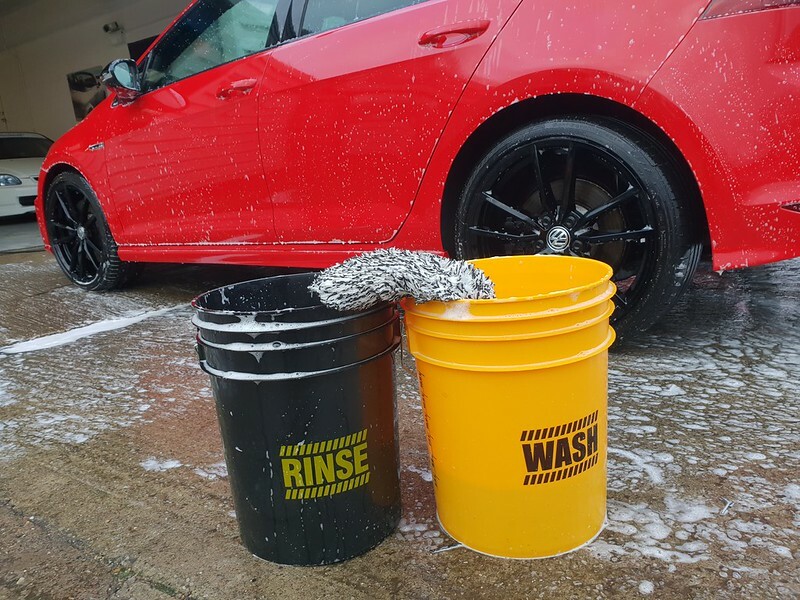 This was followed by the two bucket method contact wash.
Taken inside for clay bar treatment. 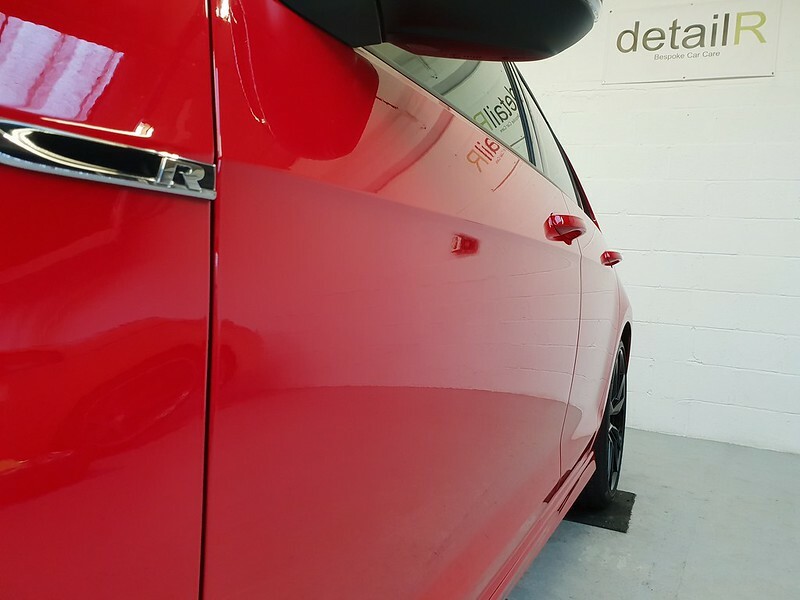 Straight into some before and after shots during the machine polishing stages. 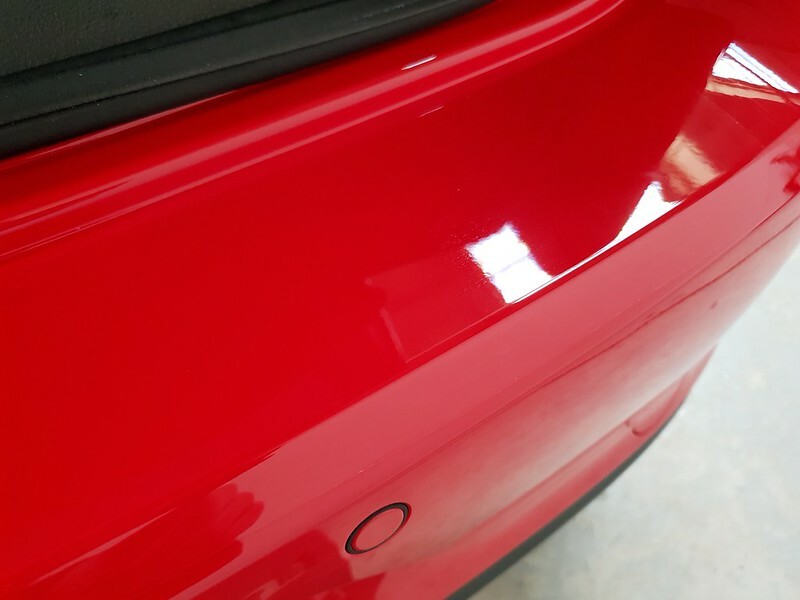 A few paint touch ups. 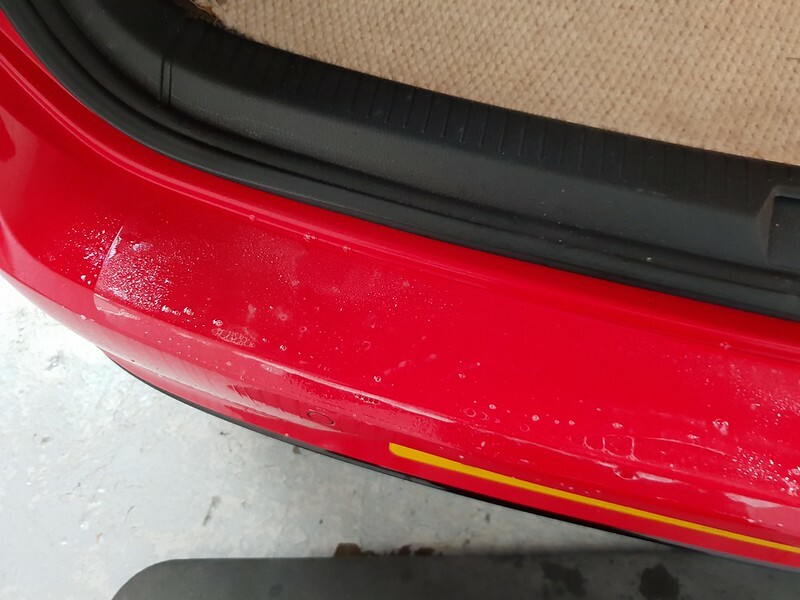 The existing bumper protection was brittle and lifting. 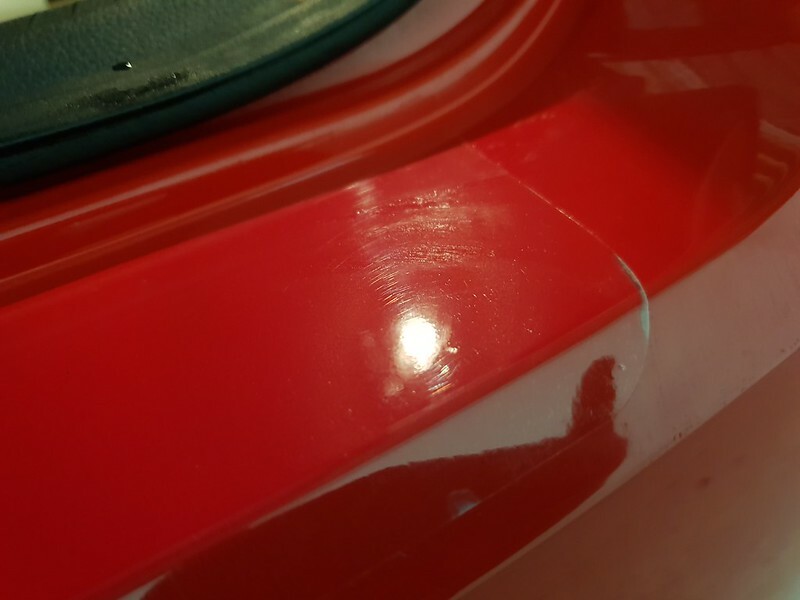 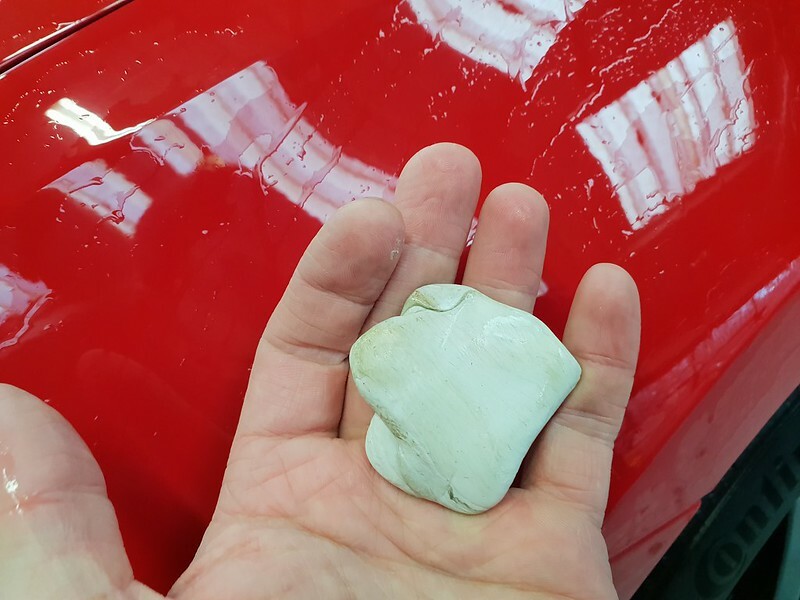 This was carefully removed and the area prepared for a new piece of SunTek self healing PPF. 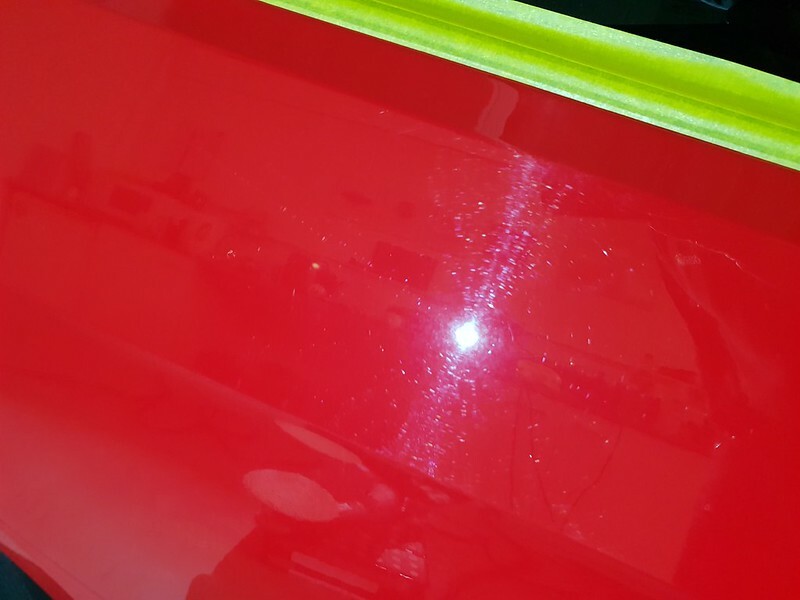 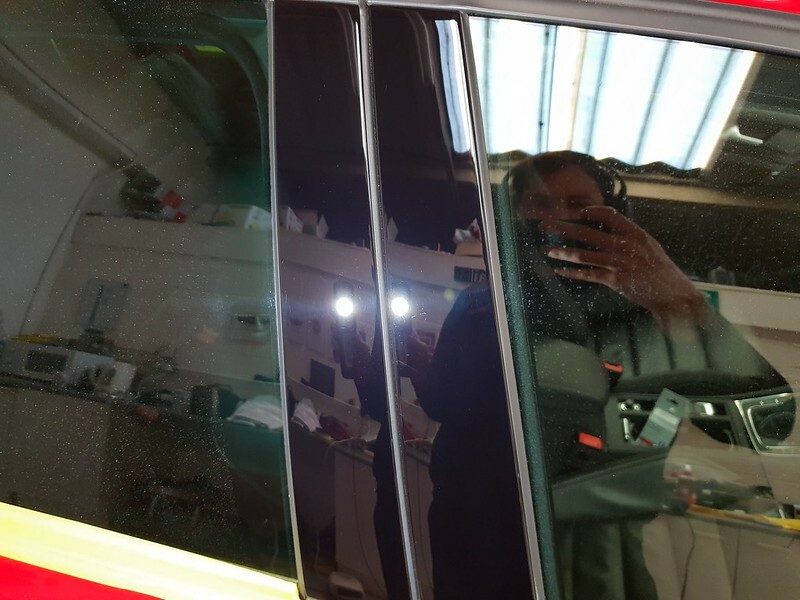 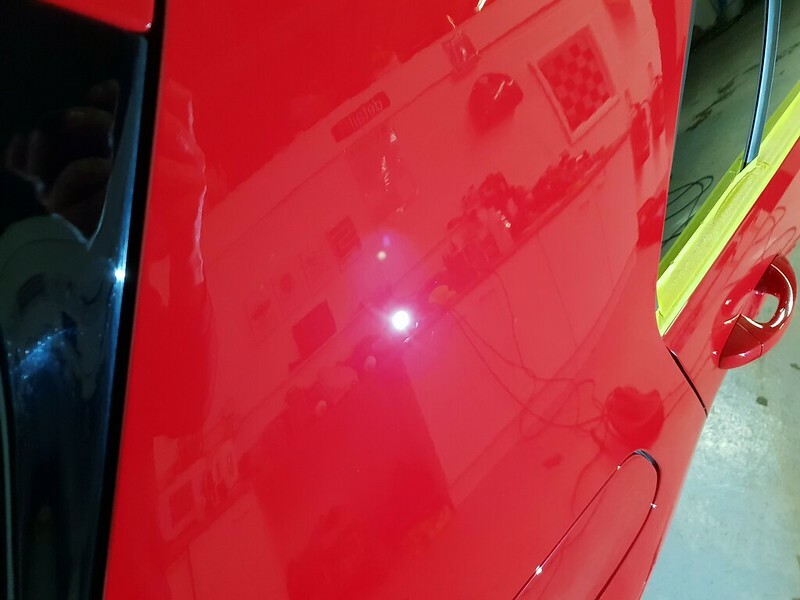 The whole car was then refined, prior to the ceramic coating. 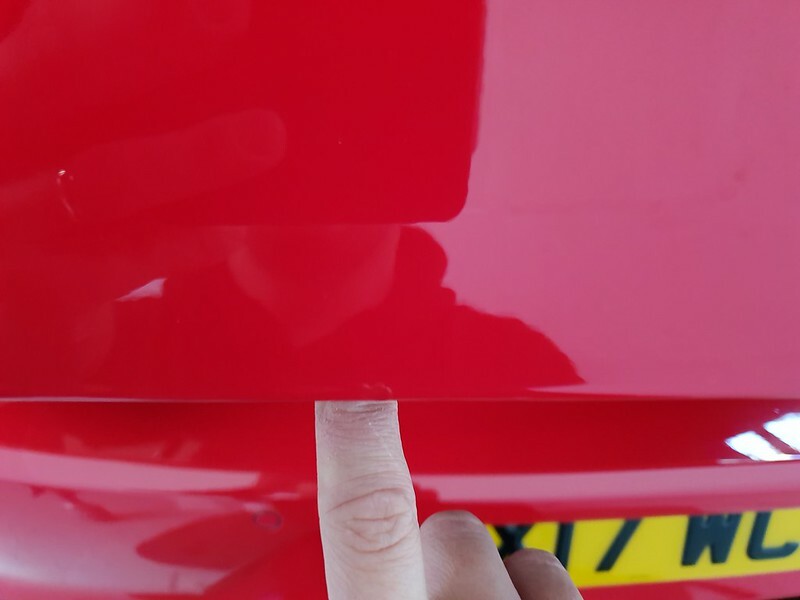 The new PPF cut and fitted. 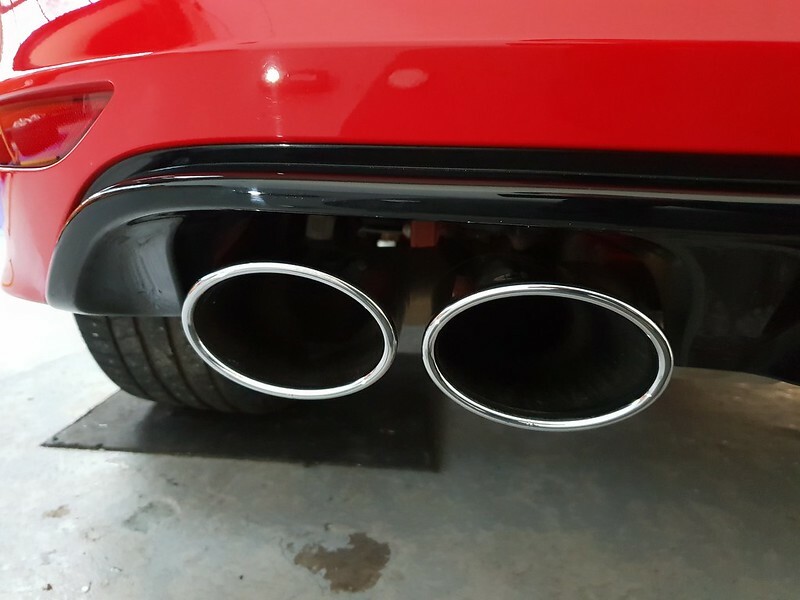 Exhaust tips polished and coated. 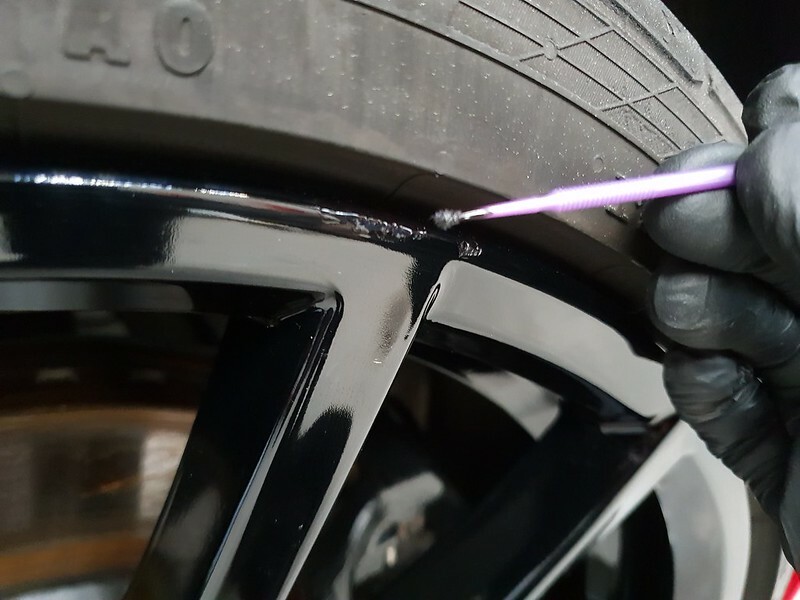 A little paint touch up on one of the wheels. 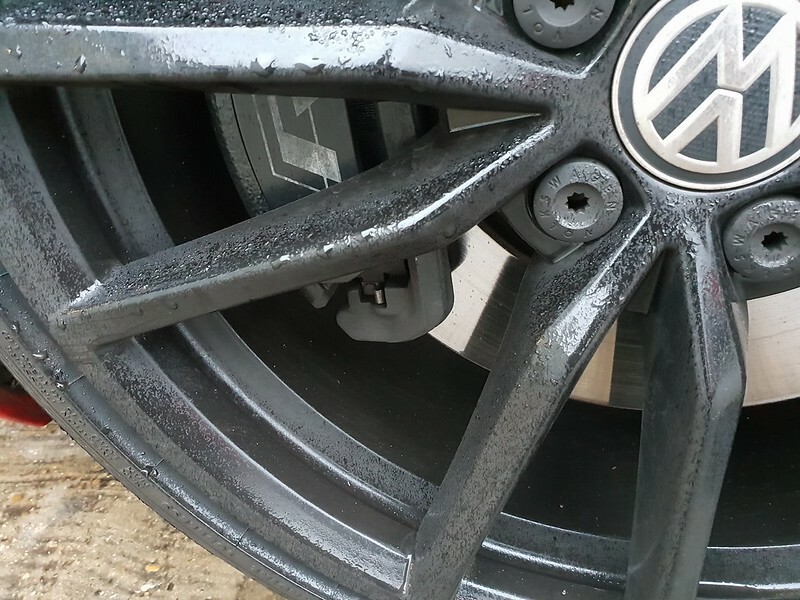 The wheels faces were then coated. 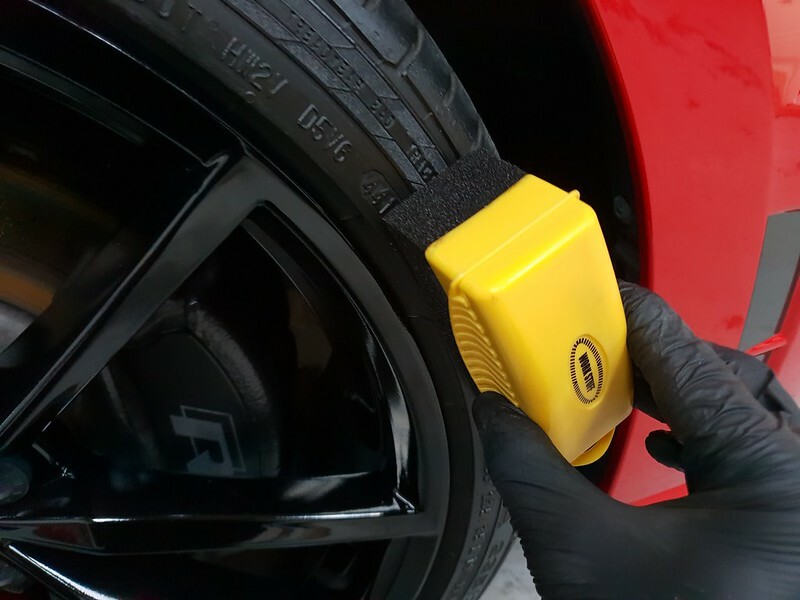 ODK Attire applied to the tyre walls. 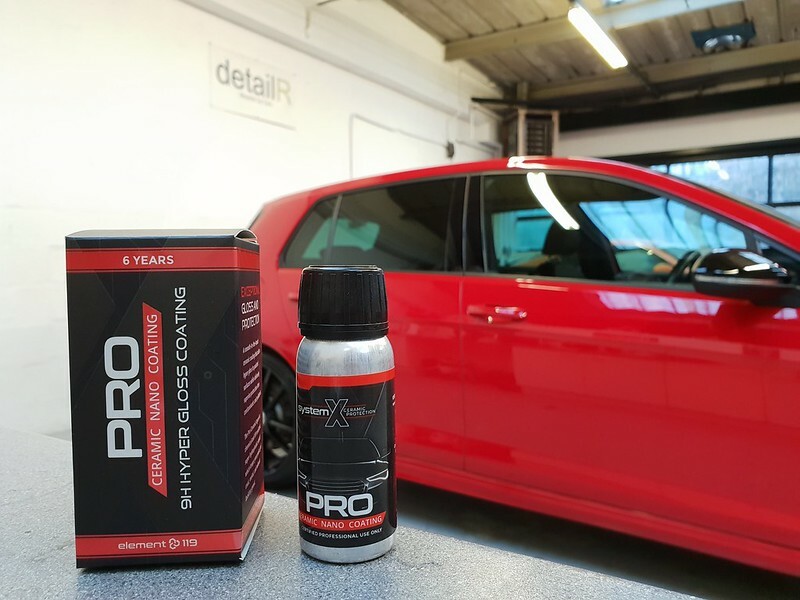 System X Pro Applied to all paintwork. 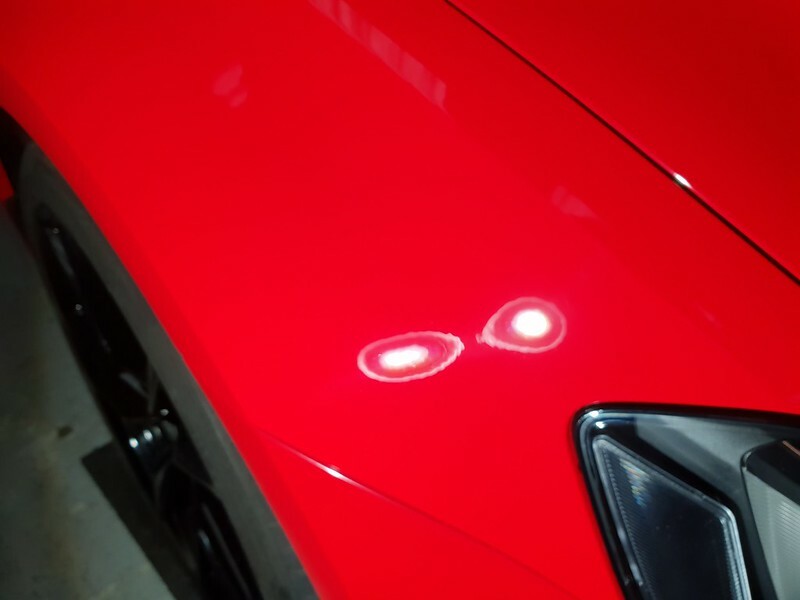 I'm a big fan of them. 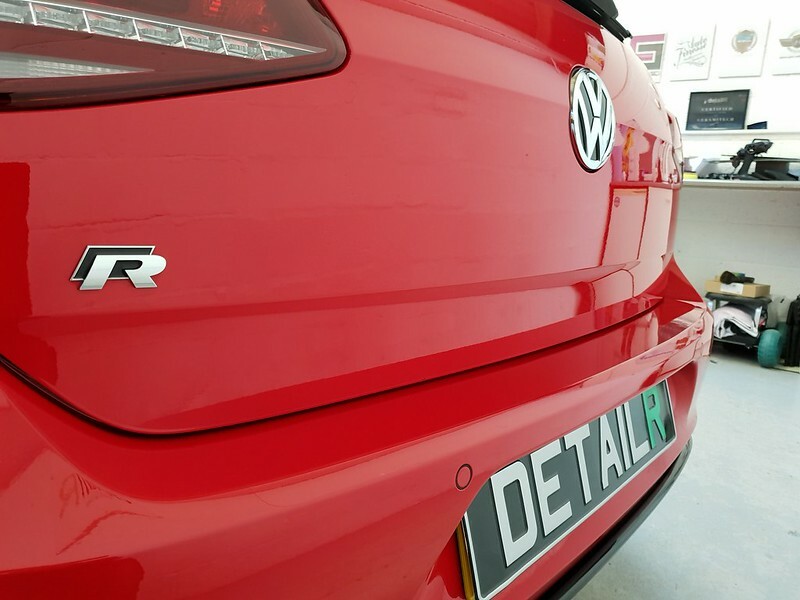 They're such a good all-rounder.